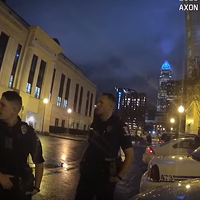 The infant was soon found safe, but Bennett remained on the run until he showed up at Charlotte-Mecklenburg Police Department headquarters in Uptown just before midnight and ambushed a group of police and probation officers standing in the parking lot. Bennett shot CMPD officer Casey Shue in the leg before he was shot and killed himself. And so ended the terrifying ordeal that was Charlotte's first homicide of 2018. 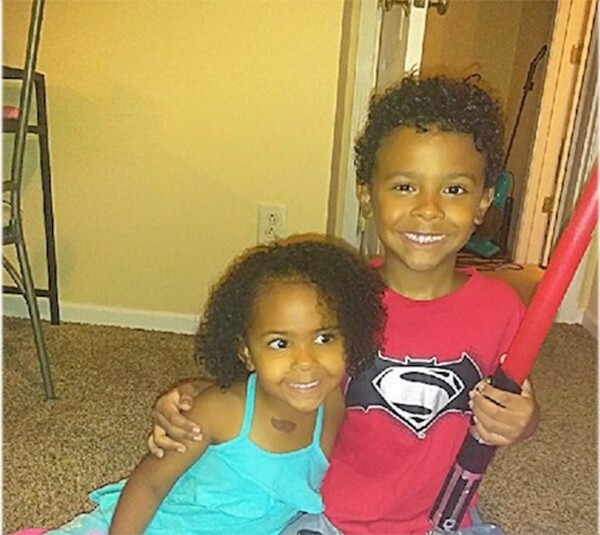 Two days later, Christina Treadway violently assaulted her two children, Iliyah and Isaiah Miller, 3 and 7 years old respectively, in her home on Sebastiani Drive in northwest Charlotte before taking her own life by jumping off a nearby bridge onto I-485. The children later died at the hospital, marking the second and third homicides of the year. On Monday, the fourth killing occurred when 35-year-old James Hawkins was shot and killed by his wife, Rataba Hawkins, in University City. At the time of the shooting, both served as deputies with the Mecklenburg County Sheriff's Office. The cause of Monday's shooting is still unclear. What was clear was that the grisly nature of these six deaths in five days was not the only thing that connected them. Each death was a product of domestic violence, an oft-unspoken but ever-present plague that has recently become a more severe problem in Charlotte. Now, city leaders and advocates hope the upcoming construction of a Family Justice Center in the city can help curb the growing violence, as the placement of similar centers in various other cities has done. 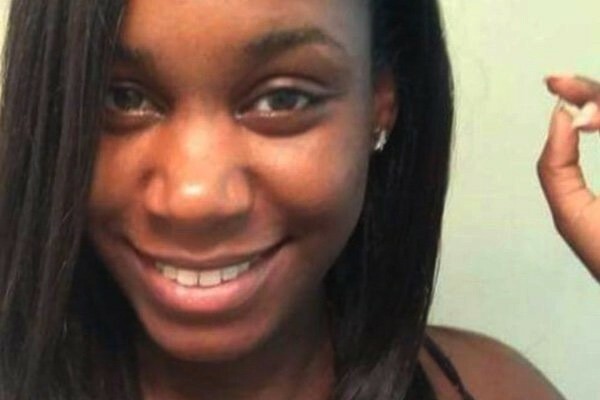 Brittany White, killed by Jonathan Bennet on January 11. According to Sgt. Craig Varnum, supervisor of CMPD's domestic violence unit, the department responds to between 35,000 and 40,000 domestic-related calls every year, which averages out to around 100 calls a day. Of those, about 25 percent end in a criminal report being filed. "We also know that domestic violence crimes are one of the most — if not the most — underreported crimes," Varnum said. "Those ones we do know about, we can probably double those numbers easily." While the number of reported incidents has remained steady over the past decade, the number of domestic-related homicides has gone up. According to CMPD numbers, of the 86 homicides committed in Mecklenburg County in 2017, 23 stemmed from domestic violence, an increase from the year before. While domestic violence includes violence among any family members, such as the slaying of the Miller children by their mother, the most common form of domestic violence is intimate partner violence, or IPV. There were 15 IPV murders in Mecklenburg County in 2017, which is also an increase from the year before. According to Varnum, the percentages of total murders that were domestic violence and IPV-related also went up compared to recent years, which shows a startling trend. Now, in a year when each of the first four homicides in Charlotte have been incidents of domestic violence, people have begun to pay attention. As tragic as these high-profile incidents are, that sort of attention often helps lead to change, said Karen Parker, president and CEO of Safe Alliance, a Charlotte-based service organization for victims of domestic violence. Photo courtesy of Family Justice Center Alliance. Parker said that when these incidents occur, they spur engagement from potential volunteers, and inspire victims to seek help. "We have a number of people call us in terms of wanting to get involved, but also victims see the stories and become more aware of how dangerous their situation might be," Parker said. Once a victim finally steps forward, the process of taking out protective orders and following through with filing charges against an abuser can be a lengthy one that often leaves the victim vulnerable and demoralized. Advocates are hopeful, however, that a recent partnership between CMPD and Safe Alliance could make a serious dent in domestic violence rates in the Charlotte area. Parker began working in the domestic violence field after graduating college. She was inspired to advocate for change after becoming close with a victim of domestic violence and watching her struggle through the court system in an attempt to hold her abuser accountable. "I saw how she was just getting re-traumatized and revictimized by having to deal with the same system that we're talking about today," Parker said. "I thought, 'Somebody needs to do something' — and this was over 25 years ago." While Parker said things have improved over that time, she is now more optimistic than ever after CMPD announced in December that it will be partnering with Safe Alliance and other domestic violence organizations in Mecklenburg County to open a Family Justice Center here. Based on a multi-disciplinary model in which different agencies operate within one location, the Family Justice Center offers multiple services to domestic violence victims under one roof. The centers are meant to ease the burden placed on victims who often have to spend hours and sometimes days going from one agency to the next to fill out paperwork and keep up with court dates, a process that often leads to victims giving up and letting charges drop. Parker described an all-too-common scenario in which a victim has to bring children along while they trudge from the police department to the district attorney's office, to the magistrate to Safe Alliance then to any number of other agencies all within business hours. "It can take days and days to access all of the services that somebody needs," Parker said. "It's not only demoralizing but it's really difficult to do logistically. Even if you have a car, those things would be difficult to do, but a lot of people don't have transportation, and there may be a perpetrator out there who's stalking you while you're trying to do all this." 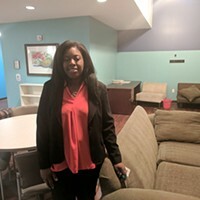 Parker is hopeful that a Family Justice Center in Charlotte will allow victims to come to a place where they feel welcomed, and can trust that they aren't just a statistic or another one of countless faces that pass through a building on any given day. "It's difficult for people when you've got all these barriers. But then also, who do you trust to help you when you're in this really difficult situation?" Parker asked. "It excites me to see that we might have this place where we can actually create that kind of setting where people feel comfortable reaching out for the services and they really do feel that trusting network. It's not just a one-time transactional kind of thing." According to Varnum, the Family Justice Center model has been getting real results in the more than 120 cities where centers currently operate. In communities with a Family Justice Center, domestic violence prosecutions have gone up as much as 60 percent, and domestic violence homicides have fallen in some communities by between 70 and 100 percent. Varnum hopes the Mecklenburg County center will help alleviate the workload for victims, and in turn, do the same for the officers in his unit. He pointed out that domestic violence calls for service are extremely volatile situations and can be dangerous for his officers. As if to prove his point, after we spoke with Varnum, three York County Sheriff's deputies and a York city police officer were shot in the early morning hours of January 16 after responding to a domestic violence call that turned into a manhunt in South Carolina. CMPD officers had assisted York authorities in the incident. The suspect in that case, 47-year-old Christian McCall, also shot at and hit a South Carolina law enforcement helicopter that had joined in the search. While there is real danger to officers during any given domestic violence call, most are carried out without incident. Still, the fact that domestic violence reports require more paperwork from responding officers than other incidents can lead to a sense of burnout for officers. When victims don't follow through with protective orders or file charges against their abusers, it can make officers feel as if their work was for naught. Experiencing that scenario repeatedly can drain the morale of beat officers who don't go through the same training as officers in the domestic violence unit. "With the rate that we see domestic violence victims not continue with prosecution, it creates a very high level of frustration for our officers — particularly for our patrol officers who may not understand the psychological dynamics that are at play," Varnum said. "The biggest challenge for all of us is not falling into that trap of caregiver apathy," he added. "You've been doing this job a very long time and you see more failures than success and it's easy to fall into that trap." The CMPD is part of a steering committee composed of representatives from six different agencies, including Safe Alliance, Pat's Place Child Advocacy Center and Mecklenburg County's Community Support Services. Varnum believes the team can get a Family Justice Center up and running in two years. "Asheville did it in a similar timeframe, Guilford [County] did it in a similar timeframe, so that's my goal and I think that's extremely realistic," he said. "Then we would be looking at dreaming big, looking at a stand-alone facility that would encompass far more agencies and would provide wraparound service to not only victims of domestic violence, but to sexual assault, crimes against children, elder abuse — any type of interpersonal violence." One organization in Charlotte has already stepped up to put those big dreams in motion. On January 9, the Charlotte-based Jamie Kimble Foundation for Courage pledged $50,000 toward implementing the strategic planning process to build the Family Justice Center in Mecklenburg County. 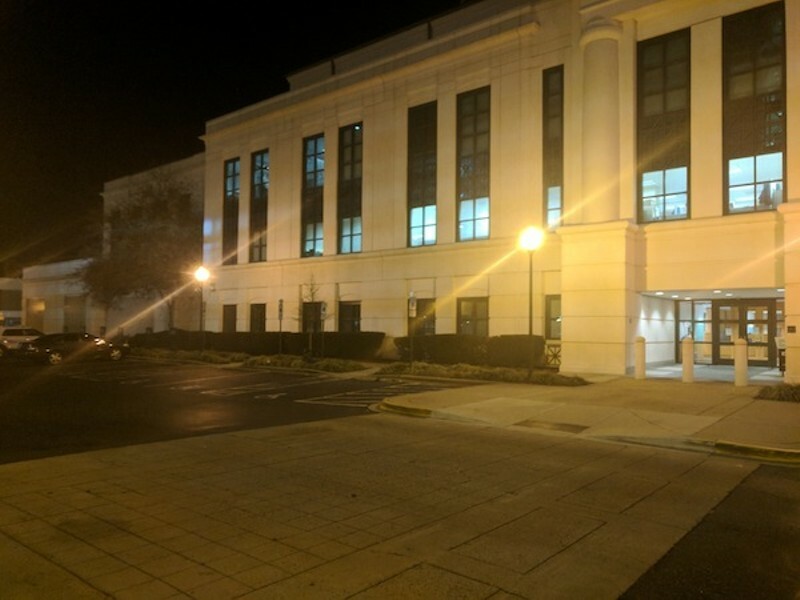 "We are convinced in this county that the implementation of a Family Justice Center will reduce the number of deaths attributed to intimate partner violence, and we are also convinced that the prosecution rates and services delivered to abusers will be effective in stopping their abuse," said Ron Kimble, founder of JKFC. "That's why the Jamie Kimble Foundation for Courage is the first money in to a strategic plan that will result in a Mecklenburg County Family Justice Center." 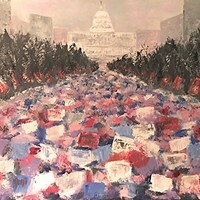 Kimble, a former deputy city manager in Charlotte, co-founded JKFC in April 2013 along with his wife Jan just eight months after their daughter, Jamie Kimble, was shot and killed by an ex-boyfriend. The foundation supports domestic violence victims through secondary prevention, helping those who are in abusive relationships get the services they need and to find safety, but also through primary prevention, educating young people about the issue in an attempt to stop domestic violence before it begins. The foundation's primary prevention work is done in middle schools, high schools and college campuses, teaching students about healthy relationships and how to recognize signs that they are in an abusive relationship. Varnum's unit also does school outreach programs, especially next month, as February is Teen Dating Violence Awareness Month. "I think it's key to really get involved with young folks because a lot of things have changed, particularly in this last generation with relationships being out there for the world on social media, the immediacy of that," he said. "The ability of folks to track what their partners are doing in real time changes the dynamics of relationships." "Also, what some folks grow up seeing and witnessing on a daily basis may become normal to them because that's all they know, and we try to let folks know that their normal may not be healthy," he added. However, the education doesn't stop at high school or college. Varnum is constantly doing research to educate himself and his unit on domestic violence statistics, so that officers better understand this evil that's so seemingly inescapable in society. He pointed out that, of all the known suspects in the homicides committed in Charlotte last year, 38 percent had histories of domestic violence. "What that tells us is that folks who are dangerous to their intimate partners and abuse their intimate partners are also dangerous to other people in society," he said. Varnum also pointed out that a recent Alliance for Hope International study showed that men who strangle women (more than half of women who experience IPV will experience near-fatal strangulation) are more likely to kill a police officer or commit mass murder. Varnum said that, following Brittany White's killing, investigators looked at a protective order she had filed against in April of 2017, in which the victim stated that she had previously been strangled by Bennett, who would eventually kill her and try to kill police officers within Varnum's own department. "That tragically affirms what the nationwide research has been telling us, and brings this correlation very close to home," Varnum said. For victims, advocates and police, the second week of 2018 has brought a lot of things close to home. Now, it is time to take action. This is the first in a series about domestic violence in Charlotte. 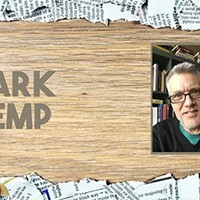 Stay tuned to clclt.com for continued coverage.